We Can Restore Your Roof For a Fraction of the Cost of Re-roofing! We will Restore Your Roof to a SEAMLESS WATERTIGHT MEMBRANE! Save Thousands with Our System! 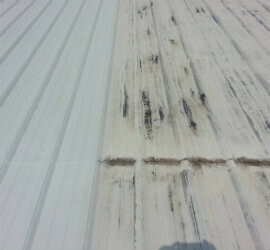 We offer services from Roof Leak Repair to Complete Roof Restoration. Our systems average HALF THE COST of re-roofing and greatly extend the life of your roof. 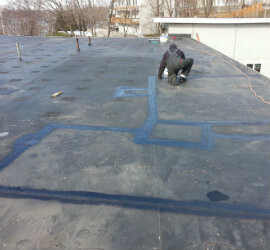 Citadel’s Roof Restoration Systems are designed to fortify your roof to create a seamless water tight surface. Re-roofing is expensive and still leaves you with weak areas like seams that allow for water penetration. By eliminating weak areas and guarding against water penetration your new roof system will endure the elements and protect your assets for years to come. We offer comprehensive solutions to completely seal and protect your existing roof. 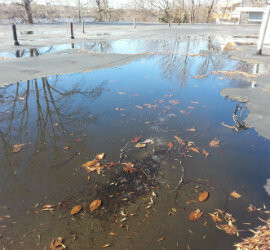 We offer Flat Roof Repair, Metal Roof Repair and Rubber Roof Repair Services that will save you money and Stop Your Leaks. We use quality repair methods to ensure you have the best repair available for your roof. Visit our Roof Repair pages and our Roof Restoration pages for more details and check us out on Youtube at Citadel Roof Systems Youtube Channel. NO MORE SEAMS! 100% TAX WRITE OFF THE 1ST YEAR! FULLY ADHERED! ENERGY STAR RATED!